Ventilator-associated pneumonia (VAP) results in increased morbidity, mortality, and healthcare costs. Unfortunately, clinical evidence of VAP occurs 48 hours or more after intubation, meaning it manifests days after the disease process has begun in the ED. 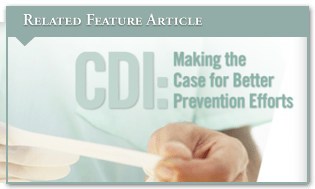 Efforts are needed to implement interventions to reduce VAP risk in the ED setting and to make prevention a higher priority. Backrest Elevation: Continuous backrest elevation of 30° to 45° is recommended for all intubated ED patients without contraindications. A collaborative effort is required to ensure compliance. Oral Care: Oral care strategies should be implemented in the ED as early as possible. These include a chlorhexidine application to the oral cavity immediately after intubation and every 12 hours thereafter. Endotracheal Tubes (ETTs): Reducing the use of ETTs with non-invasive ventilation strategies may reduce VAP incidence. Guidelines suggest that intubation should be avoided, if possible. Cuff Pressure Management: The movement of secretions from the oral cavity into the subglottic space and eventually into the lungs increases the risk of VAP. An effective ETT cuff seal may reduce secretion movement. ETT cuff pressure monitoring should be performed as soon as possible after intubation, and pressures should be maintained between 20 cm H2O and 30 cm H2O in the ED and continued at regular intervals every 4 hours. Subglottic Secretion Removal: Performing orotracheal intubation using a tube that enables continuous subglottic suctioning should be considered, especially in patients who require intubation for 48 hours or longer. To effectively reduce risk for VAP, multiple interventions or bundles are likely necessary. Bundles may include head-of-bed elevation, daily sedation assessments and awakenings, and peptic ulcer and DVT prophylaxis. Use of bundles has been shown to reduce rates of VAP, ventilator days, and ICU length of stay. Compliance with bundle interventions is essential, but these strategies are not often complied with in the ED. To overcome this barrier, it’s important to consider collecting audits and feedback on a regular basis from emergency personnel after implementing a bundle. Although further study is required to address all aspects of reducing VAP, these interventions can and should be instituted now for mechanically ventilated patients. The success of these interventions is highly dependent on when and where they’re carried out. Initiating strategies while patients are in the ED has the potential to significantly improve outcomes. Grap MJ, Munro CL, Unoki T, Hamilton VA, Ward KR. Ventilator-associated pneumonia: the potential critical role of emergency medicine in prevention. J Emerg Med. 2012;42:353-362. Available at: http://www.medscape.com/viewarticle/760845. Safdar N, Dezfulian C, Collard HR, Saint S. Clinical and economic consequences of ventilator-associated pneumonia: a systematic review. Crit Care Med. 2005;33:2184-2193. Grap MJ, Munro CL, Hummel RS III, et al. Effect of backrest elevation on the development of ventilator-associated pneumonia. Am J Crit Care 2005;14:325–32. Crunden E, Boyce C, Woodman H, Bray B. An evaluation of the impact of the ventilator care bundle. Nurs Crit Care. 2005;10: 242-246. Eckert MJ, Davis KA, Reed RL, et al. Ventilator-associated pneumonia, like real estate: location really matters. J Trauma. 2006;60: 104-110. Carr BG, Kaye AJ, Wiebe DJ, et al. Emergency department length of stay: a major risk factor for pneumonia in intubated blunt trauma patients. J Trauma. 2007;63:9-12. El-Solh AA, Pietrantoni C, Bhat A, et al. Colonization of dental plaques: a reservoir of respiratory pathogens for hospitalacquired pneumonia in institutionalized elders. Am J Respir Crit Care Med. 2004;126:1575-1582. Munro CL, Grap MJ, Elswick RK Jr., et al. Oral health status and development of ventilator-associated pneumonia: a descriptive study. Am J Crit Care. 2006;15:453-460. Muscedere J, Dodek P, Keenan S, et al. Comprehensive evidence-based clinical practice guidelines for ventilator-associated pneumonia: prevention. J Crit Care. 2008;23:126-137. Alexiou VG, Ierodiakonou V, Dimopoulos G, Falagas ME. Impact of patient position on the incidence of ventilator-associated pneumonia: a meta-analysis of randomized controlled trials. J Crit Care. 2009;24:515-522. Koeman M, van der Ven AJ, Hak E, et al. Oral decontamination with chlorhexidine reduces the incidence of ventilatorassociated pneumonia. Am J Respir Crit Care Med. 2006;173:1348-1355. 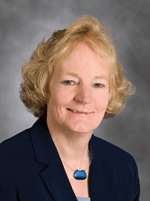 Mary Jo Grap, PhD, RN, ACNP, FAAN, has indicated to Physician’s Weekly that she has worked as a consultant for the American Association of Critical Care Nurses and the United States Army, and has received grants/research aid from the National Institute of Nursing Research (NIH).